Scott traces his fascination for birds and other animals back to his teenage years as a student at Millbrook School in New York, where learned animal husbandry and falconry at the school’s Trevor Zoo. After graduating from college, Scott embarked on a career as a global-minded environmentalist. 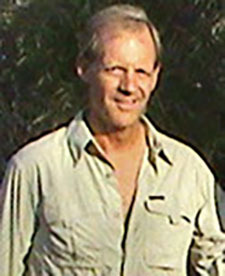 The first non-UK citizen to work at England’s Jersey Wildlife Preservation Trust (now Durrell Wildlife Conservation Trust), Scott cared for a captive lemur population. From there he helped develop a conservation training program for international field workers. Back stateside in Washington, DC, Scott coordinated education outreach programs for the Friends of the National Zoo. He later partnered with aviculturists and veterinarians on pioneering bird conservation in Florida and established his own captive breeding facility for endangered parrots. Scott has furthered his education through travel—to the Lower Amazon with conservation biologist Dr. Thomas Lovejoy and to Madagascar with paleoanthropologist Dr. Ian Tattersall. Scott serves on the boards of Hitchcock Woods Foundation (the largest urban forest in the United States) in Aiken, SC, and Asheville Green Works, an environmental citizen action group. As a volunteer facilitator for Hopital Albert Schweitzer in Deschapelles, Haiti, he helps the hospital meet the needs of the disadvantaged community it serves.